If you aren't on Facebook or missed the broadcast for whatever reason. I took that conversation and some highlights from other sessions I have had with him this year and put them into our first podcast. (It is so new it isn’t even on iTunes yet, you really got the scoop by being part of the SIBO SOS™ Community). I hope you also enjoy the transcript as a special goodie in celebration of this new project! (I took out the introduction and dove right into the content with the transcript to get you to the good stuff right away.) Sign up to have the files emailed to you. The next page that opens will give you access to download the transcript and audio files immediately too. I hope you are inspired to take action after listening to Dr. Pimentel. I always feel so hopeful after speaking with him. We want to make sure you have this information. We will send you an email with all the details to listen to the audio and read the transcript immediately. Unsubscribe at any time. Click unsubscribe at the bottom of any emails. 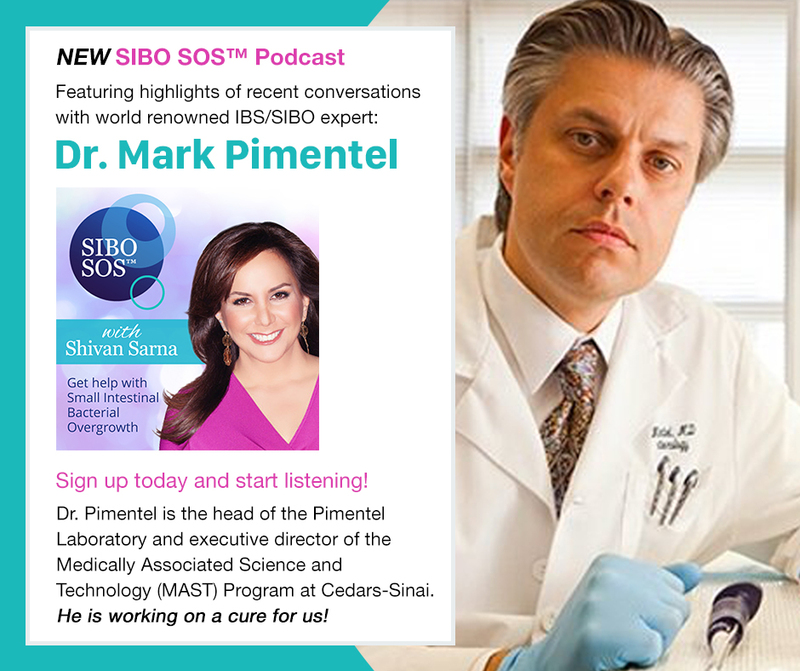 SIBO SOS™ does not provide medical advice, diagnosis or treatment.